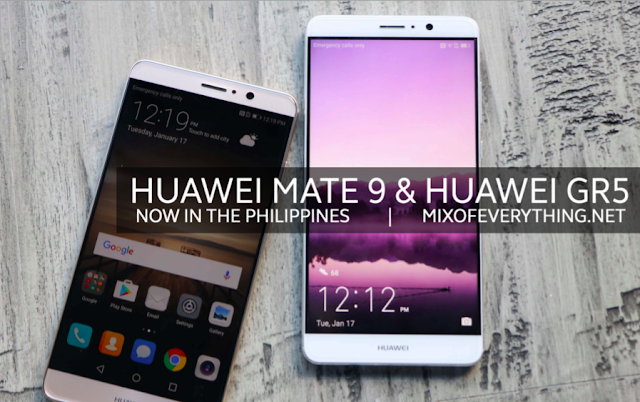 Huawei Mate 9 and Huawei GR5 2017 now available in the Philippines. - Hello! Welcome to my blog! 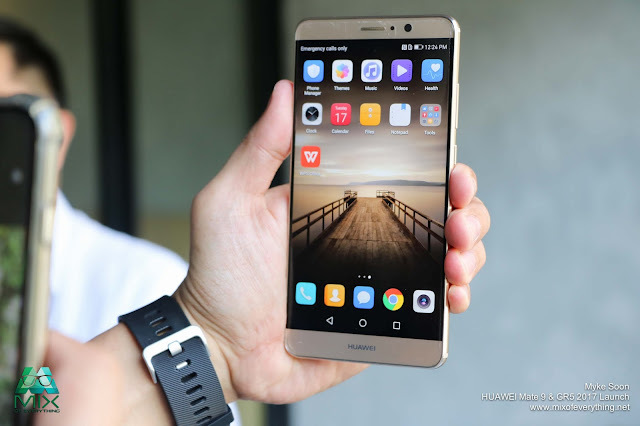 Huawei Mate 9 and Huawei GR5 2017 now available in the Philippines. 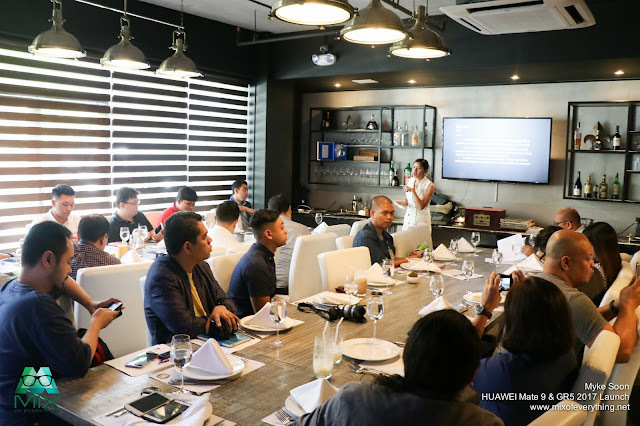 In an intimate setting, Huawei Philippines launched their newest gadgets being release early this January 2017. 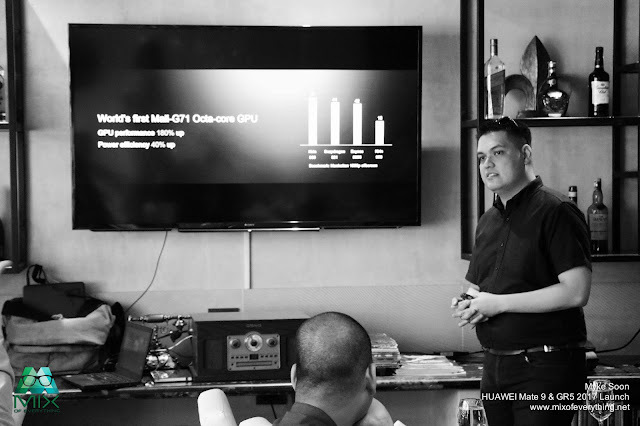 The much awaited Huawei Mate 9 and the Huawei GR5 2017 is now available in the Philippines and we were lucky to be a part of the few who were able to experience Huawei's newest offering. First up was the Huawei Mate 9 presented by Nino Carandang. 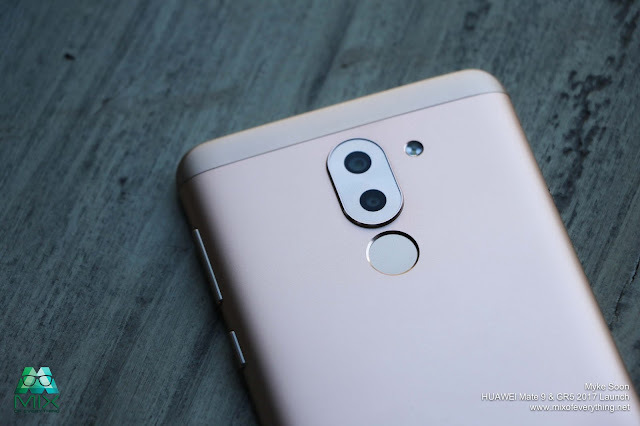 Highlighting the Huawei Mate 9's overall better performance versus its predecessor, the Huawei Mate 9 keeps a step ahead of the game by listening to its customers and addressing the concerns shares Nino. Better smartphone photography, improved battery life and faster processing. 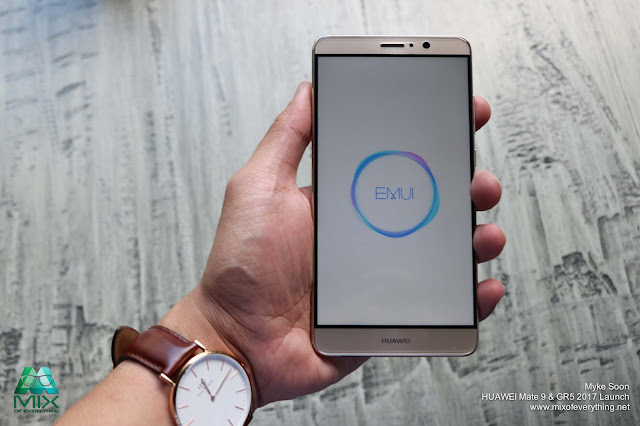 The Huawei Mate 9 addresses the common flaw of today's android smartphone - over time, they lose speed, responsiveness and momentum. 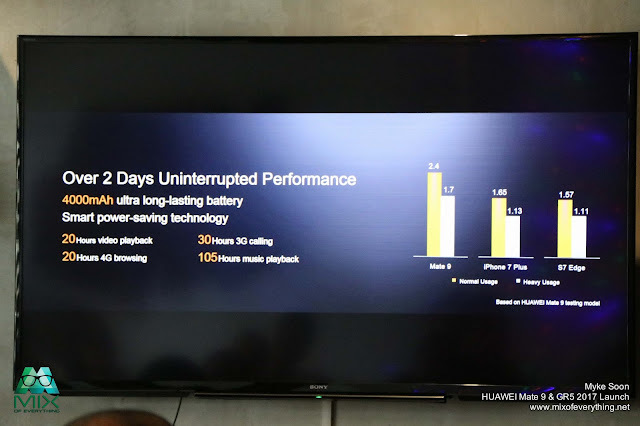 But not Mate 9, tests and studies were shown to us of the improved performance and longer battery life compared to their previous Huawei smartphone release which was the Huawei P9. 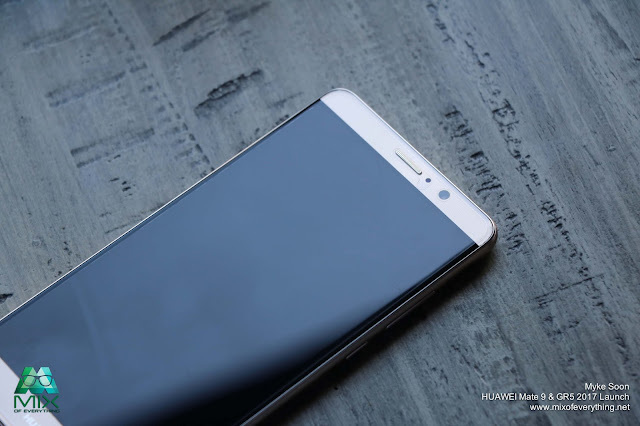 The beautiful device runs on EMUI 5.0 which is an intuitive user interface that streamlines the users' experience with the IOS which is Android 7.0 Nougat. I find Huawei's EMUI a really good UI making the device more convenient to use and pleasing to the eyes. 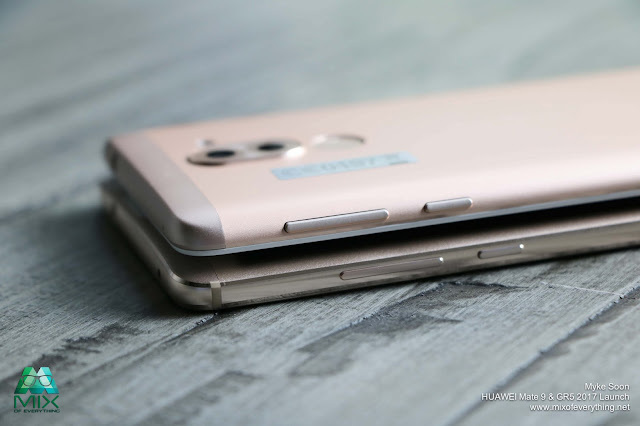 The Huawei Mate 9 runs on Kirin 960 chipset which is the highest performing smartphone processor. Huawei Mate 9 is the first smartphone to use this advance chip. Same chip will be available in Galaxy 8 which will be released later this year. Like they said, one step ahead. 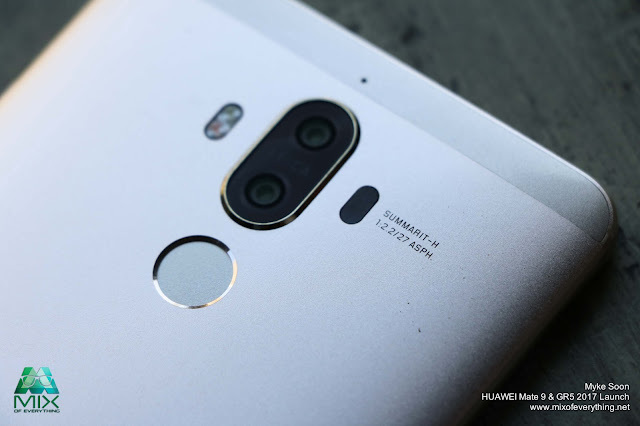 The Huawei Mate 9 boasts the second generation Leica dual-lens camera with 20-megapixel monochrome sensor, 12 megapixel RGB sensor and Hybrid Zoom, featuring a superior 2x magnification. The glorious 5.9 Full HD display featuring Corning Gorilla Glass 3 with native Damage Resistance make the device more durable. 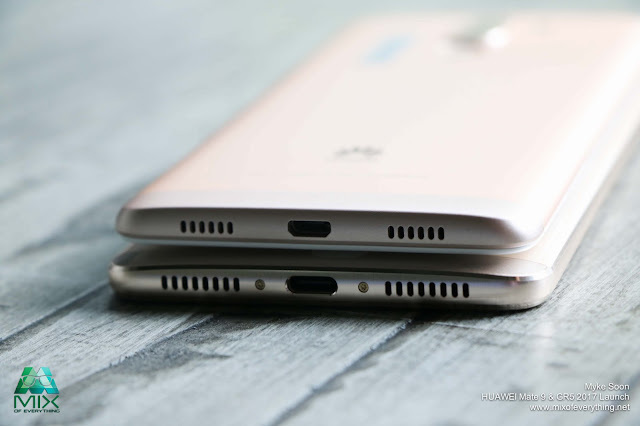 One concern I had with the Huawei P9 is that the device heats up. 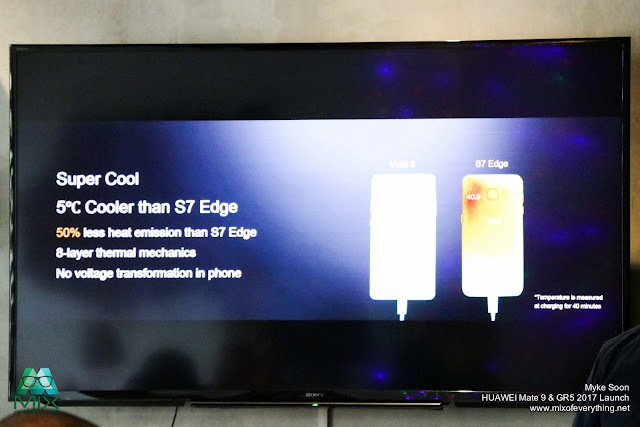 This time, the Huawei Mate 9 stays cool and emits less heat than other phones. Another improvement also is the battery size which is 4000 mAh which also has a SuperCharge technology delivering a fill day's charge in 20 minutes. Now how's that for amazing? 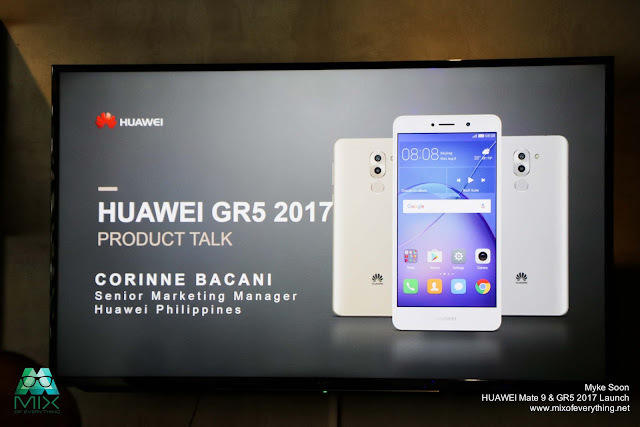 Next was the Huawei GR5 2017 presented by Corrine Bacani. A smartphone designed to help you get the perfect portrait, the GR5 2017 is built with a powerful dual camera technology perfected to take photos with depth of field and beautiful bokeh shots. 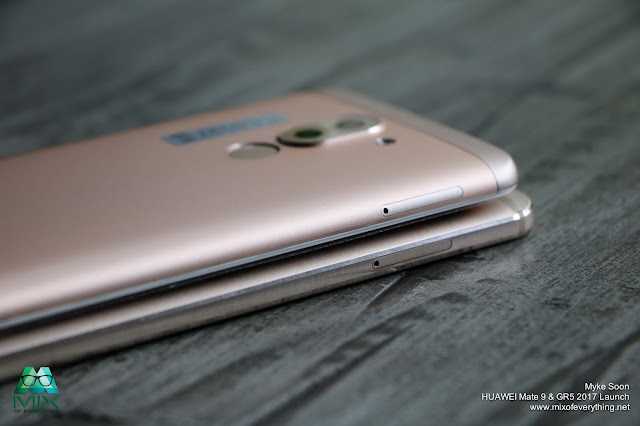 The Huawei GR5 2017 is built with 12MP and 2MP superior dual rear cameras working together allowing autofocus in just 0.3 seconds giving users a dynamic depth of field. Imagine creative professional quality portraits with beautiful bokeh effects and wide-angel shots that are not possible with just a single lens. 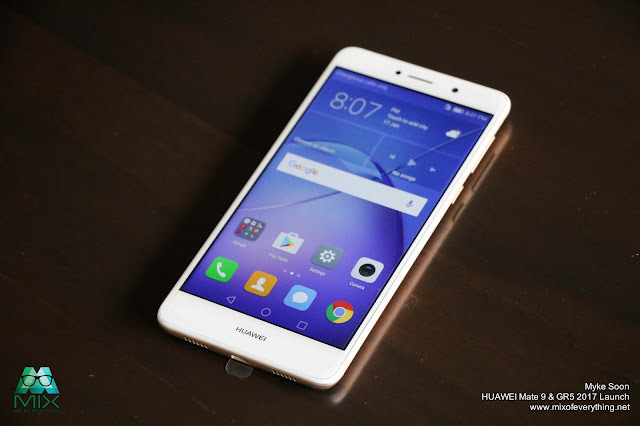 Huawei sure did target the middle market with this irresistible device. 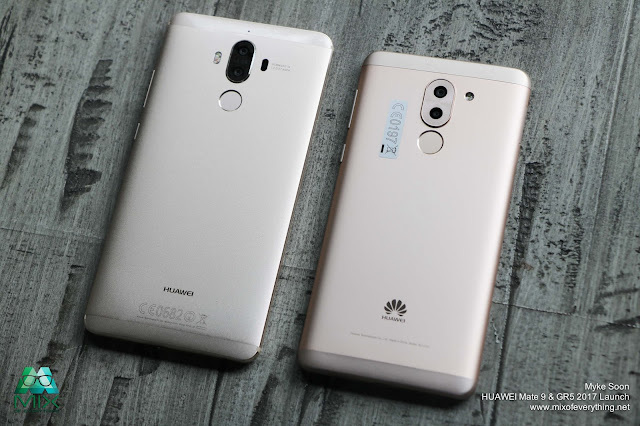 The front of the Huawei GR5 2017 has a 78 degrees wide angle visual range and 4P lens array with panoramic selfies and offers 1080p video recording. Also good in low-light conditions, the Huawei GR5 gives crisp images with the faster-than-fast ultra-snapshot. The camera has manual and automatic modes giving users the power of a professional SLR camera in a device that can fit one's pocket. Other details of the GR5 2017. Battery: 3340 mAh with intelligent power-saving technology. Processor: Kirin 655 Octa-core processor. Fingerprint 3.0 technology with 360-degree readabilty. 0.3 seconds with wet or dry finers. First impressions on the GR5 2017 is that it a smartphone promising a well balanced performance that adjusts to your life. May it be playing games, taking the perfect portraits or just watching videos, the Huawei GR5 delivers where it matters. 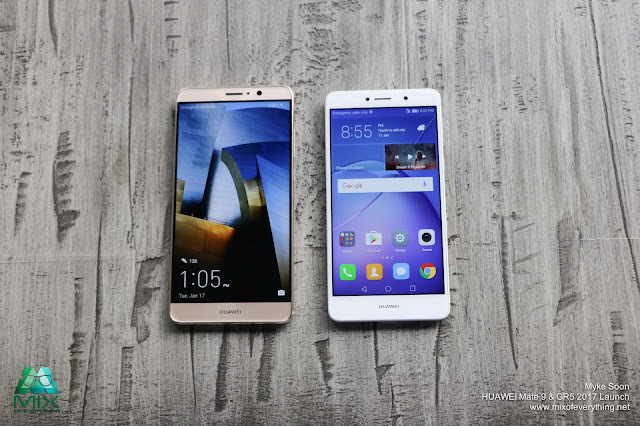 Here is a physical comparison of the two smartphones recently launched. 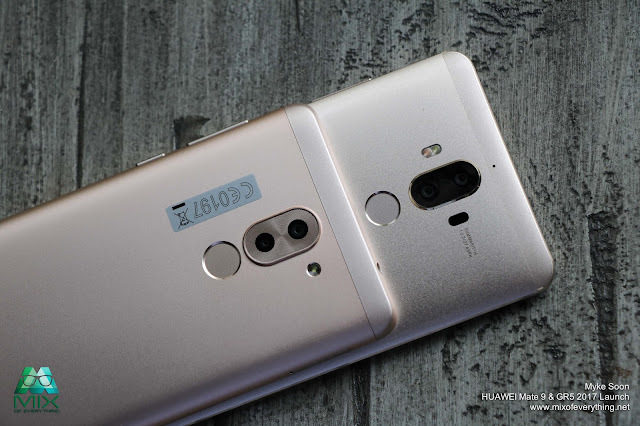 The Huawei Mate 9 & Huawei GR5 2017. 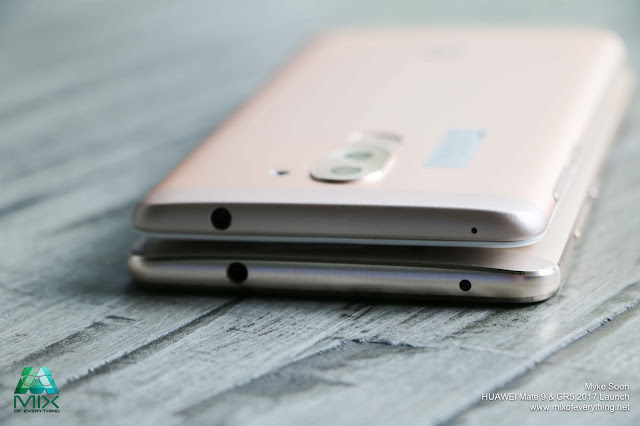 The one on top is the Huawei GR5 and the one at the bottom is the Huawei Mate 9. Looking forward to a more hands-on review of the devices soon! I'm pretty excited! Oh by the way, the Huawei Mate 9 sells for P 31,990 and the Huawei GR5 2017 retails at P 13,990. So what are you waiting for? 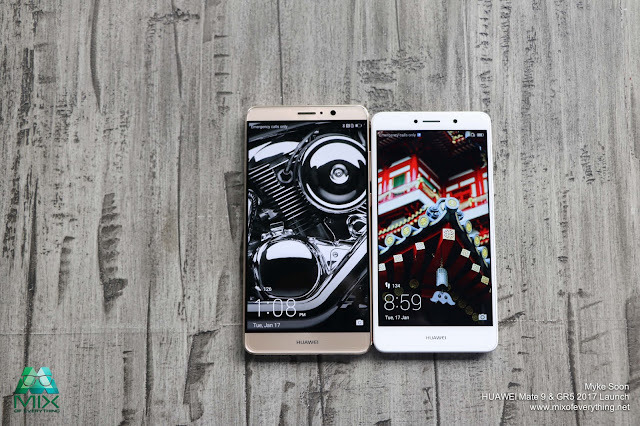 Head over to the nearest Huawei store near you and get these awesome dual lens smartphones!